I slept last night at the Havasupai Hilltop Trailhead/Campground and I slept well and didn't suffer from any muscle spasms or pain from the hike out of the canyon yesterday. As usual I am up early and on the road as the first light of dawn was seen on the eastern sky. I drove 3 hours to Flagstaff for a stop at the Pilot Truckstop got fuel and shower/shave. 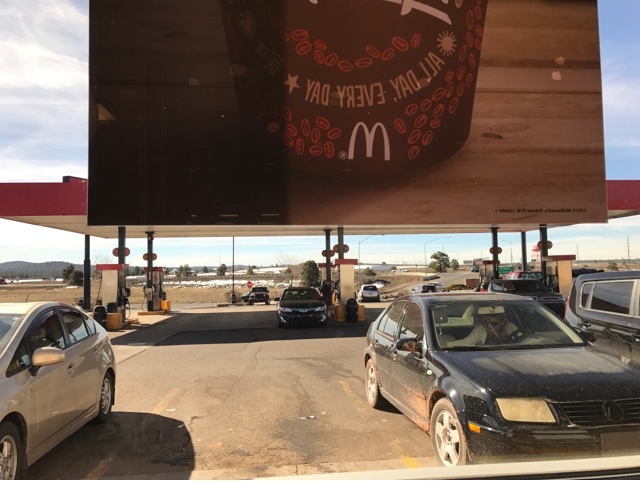 I had washed and shaved in my Prius last evening but I needed gas and there is a McDonalds to get an iced tea, not to take away the great hot shower I get for $12.00. 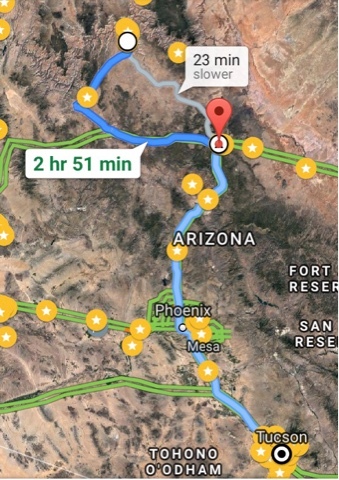 I drove south through Phoenix to Tucson for 4 uneventful hours listening to backlogged podcasts. 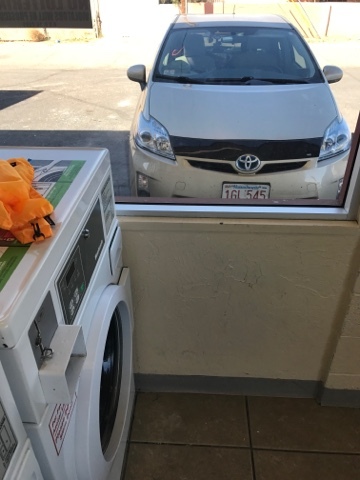 It was 2:30 pm and I went to the laundromat to wash clothing and some backpacking items and then stopped at the local park to organize all the cleaned items. Keeping my small space inside the Prius makes life so much easier. Then to the local market for some fresh fruit for the morning as I will need a larger grocery purchase tomorrow.